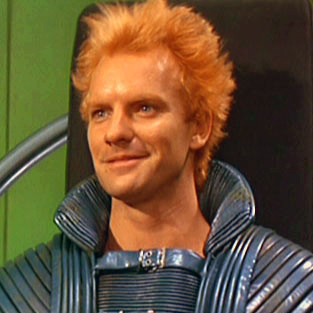 Sting as Feyd-Rautha in David Lynch's Dune, July 20, 2007. TAnthony. Qualifies as fair use under US Copyright laws because this is a low-resolution screenshot illustrating a character which is a subject in the article that uses it, and by nature no free version exists. For the most part, I have protected the privacy of my childhood classmates and friends by not calling them by their actual names in this blog. I have used pseudonyms, code names like “Crush #1” or “Crush #2,” code letters based on their position in my cohort or how I saw them growing up. I don’t apply these rules to the adults I interacted with because they were public figures, authority figures really. That’s been one of my unofficial journalist-esque rules for this blog, and I’m sticking to it. In this case, however, I’m pushing the envelope a bit. Even though I have no plans on using a name today, I’m using some initials of a former classmate that almost none of my readers will know. But for those that went through Humanities with me and read this post, the initials may make this person obvious. This classmate — and friend, I guess — was one of the few free thinkers I knew in my Humanities days. He wasn’t just smart — we were all smart. He fashioned himself an intellectual, someone who either thought against the grain or refused to get caught up in what he considered the daily stupid stress sandwich of grades, awards, and more grades that was our magnet program. Most of all, the kid was a contrarian, the one and only JD. Just like with most of my classmates, I didn’t get along with him at first. He immediate came off to me as someone who saw himself above the fray, maybe even better than the rest of us. It didn’t help that JD introduced himself as “half-Russian, one-quarter French and one-quarter English” that first day of seventh grade nearly thirty years ago. For most of the first year, I thought that his persona was an act, an attempt at upper-crust coolness. I didn’t understand how girls — White and Black — liked this guy, zits and all. 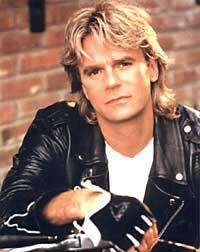 At various times during our Humanities days, his looks were compared to Sting, and later, MacGyver — actor Richard Dean Anderson’s most famous character. I’m sure that he liked the comparisons. If you meshed the two, you’d maybe end up with a JD, but probably about two inches shorter than the real life person. At first, I didn’t think that he was all that smart. After all, we ended up in a fight over my outburst of laughter because he said Australians spoke “Australian” instead of English. I always wondered why we fought this week, of all weeks (twenty-nine years ago this week, by the way). It wasn’t as if we hadn’t annoyed each other before. Eventually I did begin to get Mr. OshKosh, as I called JD in my mind — and occasionally, out loud — during our Davis years. He was a deliberate individual, often trying too hard to be one. It was obvious to me that he thought the whole Humanities thing was a joke, that he found school a Sisyphean effort. Still, even though we had fought — and I somehow managed to win against the karate kid — we’d get caught up in weird intellectual conversations about communism versus capitalism, or about America’s endless cultural corruption. JD would always take the most extreme view of America the ugly, leaving me no choice other than to argue with him or to agree with him, depending on the severity of his argument. He was a devout atheist, at least in argument, indirectly questioning my Hebrew-Israelite and, later on, early Christian beliefs. That he made me question what I thought I believed and what I actually did believe, I appreciated even at the time. I also got the sense that he was constantly questioning his world while casting doubt in my direction. It was part of the dissatisfaction that I sensed in him all during our six years together in Mount Vernon’s schools. I didn’t know how much of it came from his home life, but my guess by the middle of high school was that we only saw a tip of a very large iceberg for six and half hours a day and five days a week. What was more obvious, at least to me, was that he seemed comfortable in his uncomfortability at Mount Vernon High School, with the flight of his White classmates in ninth and tenth grade, with the hypocrisy of Humanities as academic light in a sea of ignorance while ignoring the elephants in the room. Despite holding many of his most private cards to his vest, JD was probably one of the five most honest people I knew in all of my education. His body language, his lack of interest in most things in the classroom, his varied cultural and intellectual interests outside of the classroom, his dating habits all but betrayed his closed-mouthness when it came to who he understood himself to be. He was, and has remained, my favorite contrarian.